Because we’re so confident in the caliber of our equipment, GeoComfort heat pumps are protected by the best warranties in the geothermal industry. 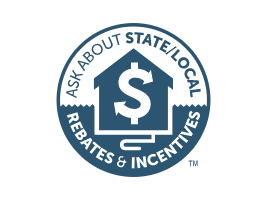 Numerous states, local municipalities, and utilities also now offer rebates, tax incentives or low interest loans to support your installation. Geothermal systems actually have a positive impact on our environment since they burn no fossil fuels and use very little electricity. This enhances our efforts to control pollution, green house emissions, and other issues that impact our everyday environment. 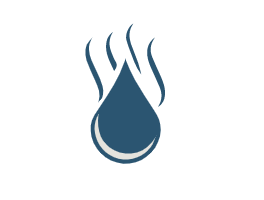 A geothermal system has the capability of capturing reclaimed heat during the heating and cooling modes thus reducing a typical 4-person household’s water heating cost by 50% to 60%! 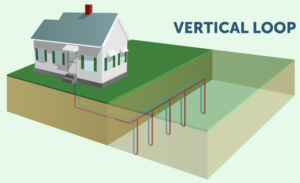 Geothermal systems are up to 500% efficient. In fact, the U.S. EPA has recognized geothermal systems as the most energy efficient heating and cooling systems on the market today. You can expect your geothermal system to provide an average of 20-24 years of reliable comfort and savings as compared to a 13-15 year life expectancy of conventional systems. 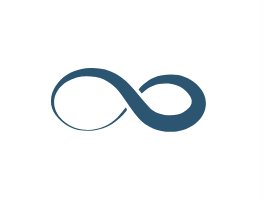 The loop field has an indefinite life expectancy. 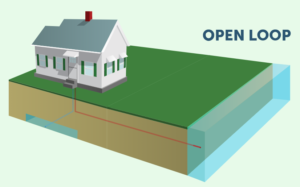 With geothermal, fossil fuels are not used to generate heating or cooling. Because there is no combustion, there is no chance of explosion, hazardous fumes or risk of carbon monoxide poisoning. 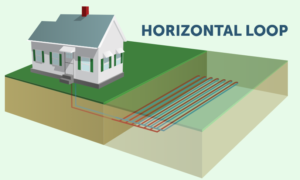 Our geothermal heat pumps are the perfect fit – ideal for retrofitting an older home or for installation in a new home. 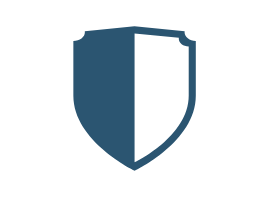 Plus they work well in rural, urban and suburban locations. 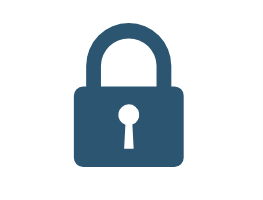 This is the most common loop used when adequate land area is available. Trench lengths range from 100 to 300 feet, depending on the loop design and application. 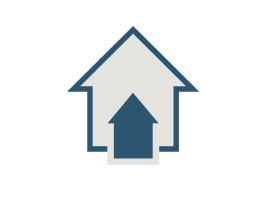 This loop is used mainly when land area is limited and in retrofit applications of existing homes. A drilling rig is used to bore holes at a depth of 150 to 200 feet. 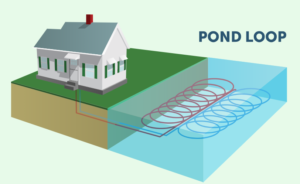 A pond loop is an option if a large body of water is available within approximately 200 feet of the home. A 1/2 acre, 8 to 10 foot deep body of water is usually adequate to support the average home. 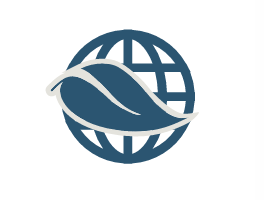 This system can be installed if an abundant supply of high quality well water is available. 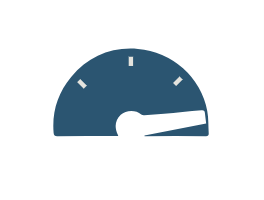 A typical home will require 4 to 8 gallons of water per minute. A proper discharge area such as a river, drainage ditch, field tile, stream, pond, or lake must be present.